It’s that time of the year when wedding excitement is building up. Giving the brides to-be, the grooms and their extended families the perfect destination to deck up for the upcoming wedding season, Delhi’s top premium shopping, entertainment and leisure destination in Delhi and NCR Region, Pacific Mall, Tagore Garden hosted first wedding extravaganza Fashion show ‘VOW to WOW’ in the Capital. Aashmeen Munjaal’s Star Salon was the first partner of the week long extravaganza at Pacific Mall, Tagore Garden being hosted from November 27 till December 04, 2016. For those looking to pick up some industry-insider tips, master classes were also being held with Wedding expert consultation in Hair, Skin, Makeups, Wedding dresses and Wedding Jewellery. 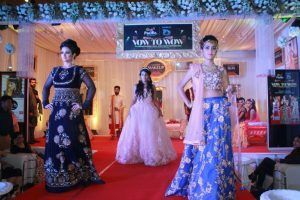 When the show ended first, Centre Director – Pacific Mall, Tagore Garden Mr Salim Roopani made a very important remark on how Pacific Mall has identified the significance of high-street shopping amongst Indian shoppers. He added, “It is an endeavour to turn the first spotlight on the many sartorial choices and fashion picks that this zone will offer to those customers who love their roots and celebrate their individuality through ethnic drapes. 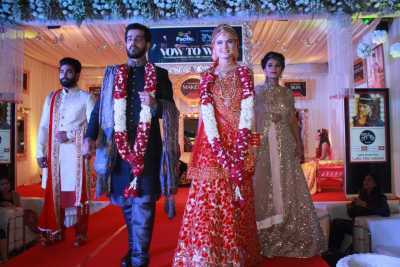 The Wedding Fashion Show has been conceptualized to pique the first interest of consumers and give them some insight on what they can expect this year in the wedding season”. One of the top first premium shopping, entertainment and leisure destinations in Delhi and NCR Region, Pacific Mall is a part of the Pacific India Group, one of the reputed realty and infrastructure developer providing distinctive and specialized services in Real Estate, Hospitality and Education sector. Located in Tagore Garden the Mall is very well located and connected by public and private transport. Pacific Mall not only boasts of more than 130 national and international premium Brands in the country today but also is known for its first ambience, location, connectivity and the experience it provides, catering to the conscious, updated and discerning customer of today. NEXT POST Next post: Life : Is it yours or of yours parents ?